We are getting to that time of year where we can get a sense of what the major indices might be as we head into winter and we can start to get an idea of what might be possible. While I don't have a huge amount of faith in winter forecasting I've seen some have success. *We are in solar minimum, which tends to favor blocking and -AO/-NAO. *We also seem to be moving into -PDO right now. *QBO is strongly negative, and will probably start to trend towards positive. *And anecdotally, winters with *8/*9 have historically been decent to good in the west. What are you guys seeing? Part of me wants to take the reverse-jinx pessimist route but that would be annoying AF. Honestly, I really do feel like there will be at least one regional event this year from Medford to BC. IMBY, last year was torturous so if it's lame IMBY this year then it will probly be very bad/boring for most of the PNW lowlands. I've gotta think that goddam Greenland vortex will be in play at some point. Main concern is our access to Arctic air feels to me like it is going away. The early indications aloft indicate a very strong +QBO developing in 2019..westerly anomalies @ 10mb are record breaking in amplitude when juxtaposed on the cycle of the semi-annual oscillation above (SAO). We’ll probably have westerlies downwelling below 30mb sometime during the upcoming cold season, with residual easterlies holding on at/below 50mb. So while the front half of this winter should follow -QBO climatology, the latter half will probably hinge more on the seasonal tropical forcing climatology as it relates to ENSO/annular modes and any backresonant influence from PV disruptions/SSW. I’m still not convinced there will be much of an ENSO this winter, if at all. I’m leaning warm neutral with a modest low frequency tendency towards dateline forcing reflecting the longer term move towards El Niño in 2019/20. So I’d target the first half of winter for the greatest intreseasonal/MJO forcing and pattern gyrations with some disruptions to the polar vortex/NAM possible during the months of November and December, as well. After that, the pattern may become more +PNA based. Anyone take a look at 1919-20 winter season as a possible analog? I know the previous year was a moderate Niño after a multi-year Niña but 1919-20 ended up warm neutral. Looks like the NAO took a nose dive around then as well. Looking back, it seems that many of the older years with descending westerly shear tend to have the deepest Arctic air on the Eurasian side of the pole w/ more zonal flow across North America. However, given the expanse of the cold pool across the NW-Atlantic/NE-Canada and lack of OHC up there, along with the continued displacement of the Pacific warm pool, I’m starting to think there will be some very frigid air up there again this winter (on our side of the pole). The Labrador current has strengthened markedly in recent years along with a very large drop-off in the OHC across the NATL since 2010/11. I’m riding the 1980s again, for the most part. The are some interesting similarities to the 1984-1986 timeframe right now as far as the tropics/SSTs/solar are concerned. We simply wouldn't be capable of that kind of result nowadays. Phil, what are you seeing for my area? I am still getting my thoughts together on this. I’m not sure yet on specifics, but (IMO) this feels like a frontloaded winter in the west. At least on the large scale. Front-loaded winters are best... cold and snow in November and December and then be done with it. Or no snow and cold. Just upper 50s and low 60s with sun. I dont know why you have an unhealthy obsession with cold or snowy weather when it causes millions in damages, contributes to climate change, and untold hours of lost productivity. The only correct answer for "the best" winters are ones where there is no disruption and weather pleasant enough to enjoy family friendly activities. But 60-degree sun is very rare around here from November - January. Its nice to know that after a decade of bickering, you and I can agree that you hate Snow. I love snow in late November and December. I remember being so pissed on January 1, 2004 waking up to heavy snow. Would have been rather majestic just a few hours earlier. News Year Day is also acceptable. I was thinking about the AMO and how it appears to have flipped to negative this summer. The connection of the AMO to hurricanes is known, but I wonder about winter weather. What sorts of effects does a +AMO or -AMO have? 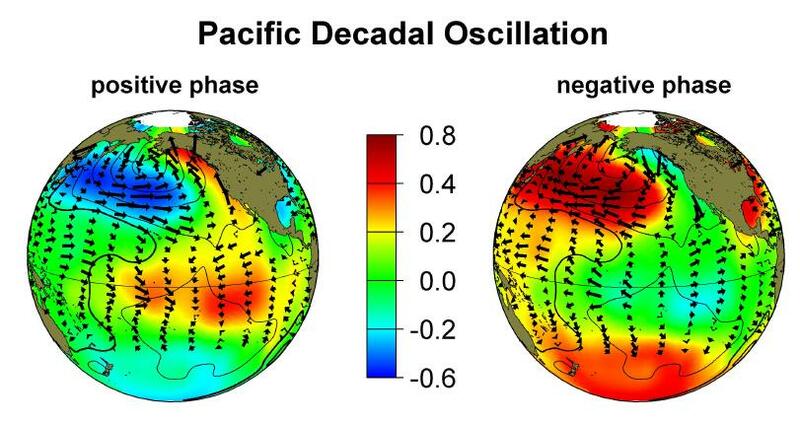 Also, the PDO looks somewhat negative, how many -PDO +ENSO events have we had? Anybody know offhand? Not many, but if there are any legitimate analogs to this regime they’re (probably) largely confined to the 1980s or latter half of the 1970s. Interesting that it seems there are few analogs for this coming winter. Lots of uncertainty. Agreed, though I might throw a few 60s years in there as well. I'm sure someone will remind us shortly that PNW summers were MUCH cooler in the 1960s-1980s. But I don't think that means the same thing for winter analogs, in a broad sense. Looking at the PDO/ENSO there are a few years where it goes negative for a time, but the only ones since 1970 that I see with -PDO/+ENSO for the majority of the time are 94/95 and 72/73. So of those, 94/95 is probably the most comparable. Good analogs for the valley. Well, the PDO signal will probably be close to neutral/irrelevant. 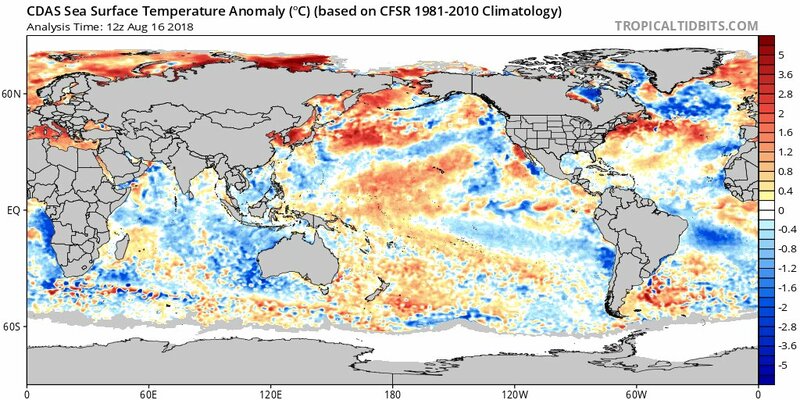 This also is unlikely to be an official niño year, even with more frequent dateline forcing. I’d hedge towards neutral or modest +ENSO/-AMO years with low solar as a bonus. The deep -PDO/-PNA era years will probably not work well as analogs this winter, in my opinion. What makes you say the PDO will do that? The rest, I agree with. I don't even necessarily disagree on the PDO, but its certainly been trending down this year in general. Yeah, no signs that ENSO/PDO state will be a major player this winter. QBO and solar will probably be the two biggest factors I look at. Well, generally speaking, dateline exhaust/+ENSO boundary conditions (even if modest) aren’t conducive to the establishment of a -PDO. 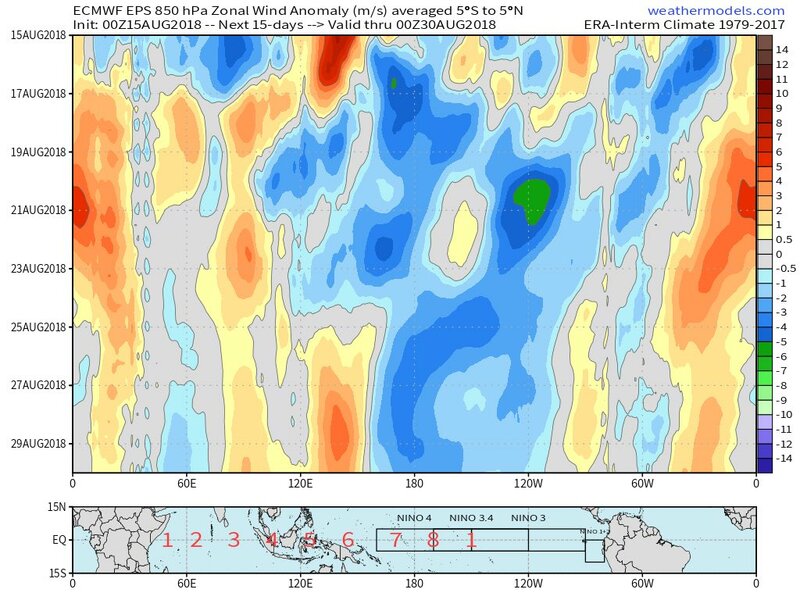 You generally see +PNA conditions from midwinter onwards in such cases as this when the PMM/Pacific ITCZ is biased positive/northward from a lower frequency standpoint. Usually, -PNA/-PDO years are preceded by warming in the eastern IO/NATL, and/or a westward retraction of the IPWP engine more generally. We have the opposite ongoing right now, with a cooler E-IO/westward-displaced IPWP with a heavy meridional component. Not favorable for the development of a -PDO, in my opinion. That could/should change in the early 2020s, though, after the next El Niño (probably in 2019/20). The solar preconditioning for the next westward shift in the IPWP and NAM/NAO tank is developing now, and will culminate in a strong multiyear niña/-PDO episode in the early 2020s when solar starts increasing again. I could definitely see this winter ending up technically -PDO/-PNA by the numbers, but it's clear we aren't in that dominant system state yet, and probably won't be this winter. Lots of model-ologists on twitter are pimping the crap out of this moderate-strong modoki niño/+PDO idea. Not going to name anybody, but it’s bad. The maps are getting sexier every year too, so it’s more encapsulating to the masses as well. I still think it’s going to bust hard. Yeah, could come down to whether November/December can go -PNA enough (assuming they do) to outweigh what could be a more +PNA tendency that develops later in the winter. That sounds reasonable. I think I would agree with this. So a frontloaded winter then? That’s the way I’m leaning, yes. Doesn’t mean I’m correct about it, though. Of course the thing people need to remember about PNW winters is it only takes a day. A period completely dominated by eastern cold will be remembered by people in the PNW if a system sneaks through and drops some snow. Not sure who this Becky is, but she does have some interesting tweets. This guy, in response, takes a direct shot at Bastardi. I appreciate everyone’s opinions so this is said with respect ofcourse but we have been researching things suggesting an El Niño head fake is in the cards. We are not sold yet now that doesn’t mean a weak central based event can not happen. 3-4 weeks good signals should emerge. I’ve talked with Michael Clark a bit re: ENSO in recent months. He generally agrees with the idea of the niño holding off for now, as well. He’s also employs more analog-based methodologies than he does climate/seasonal models, which I think is the right way to go in most cases. But Dr. Ventice, Ben Noll, IRI/NOAA, and the majority of the big names/vendors with pretty maps are in the niño camp, it seems. At least for now. While this is true to a degree, most of the "memorable" PNW lowland winters have not been dominated by eastern cold. In recent times, 2008-09, 2010-11, 2013-14, 2016-17, etc all had multiple and/or lengthy periods dominated by western troughing, and that was when the good stuff happened for the PNW. Sort of subjective...2008/09, 2010/11, and 2013/14 all had historic cold waves in the east and were colder than average winters overall, even here. Strong blocking increases the odds for cold just about everywhere. Definitely, but the periods where the PNW scored were dominated by western troughing. It wasn't like a fluke one day storm in the midst of a torch. 10-11 felt like the weakest of those. Torture for folks on the Oregon Coast. All other 3 were great. Yeah, and 2010-11 was easily better than 2013-14 for western WA, and better than 2016-17 for some areas. 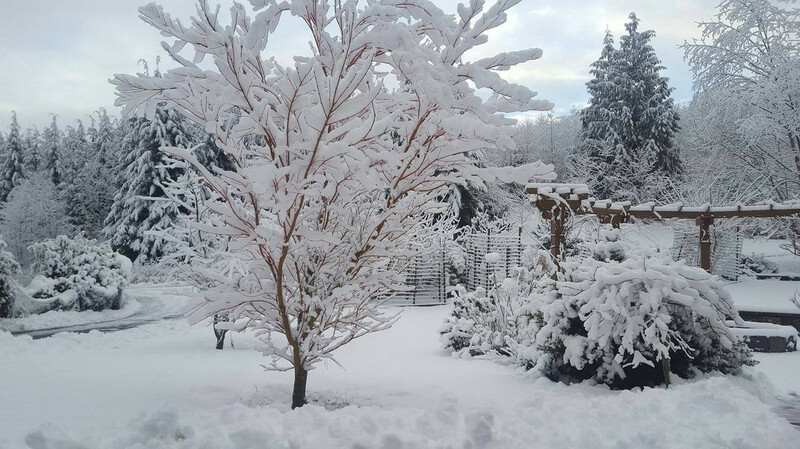 All of those winters had memorable, multiple cold/snow events for parts of the lowlands. The last totally east-dominated winter that managed anything good for the PNW was 2009-10 with the December blast...but that was snowless almost everywhere. Winters were easily colder in the 1960s-80s too. Facts are mean. Of course (as a general rule). My point was that just because we had a hot summer does not make those years irrelevant as winter analogs. Nobody claimed otherwise, as far as I can tell.